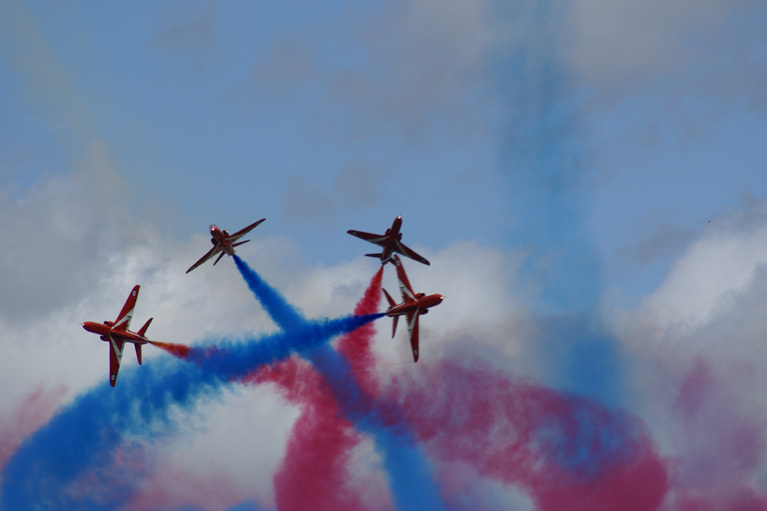 The Farnborough International Airshow is a week-long event that combines a major trade exhibition for the aerospace and defence industries with a public airshow. 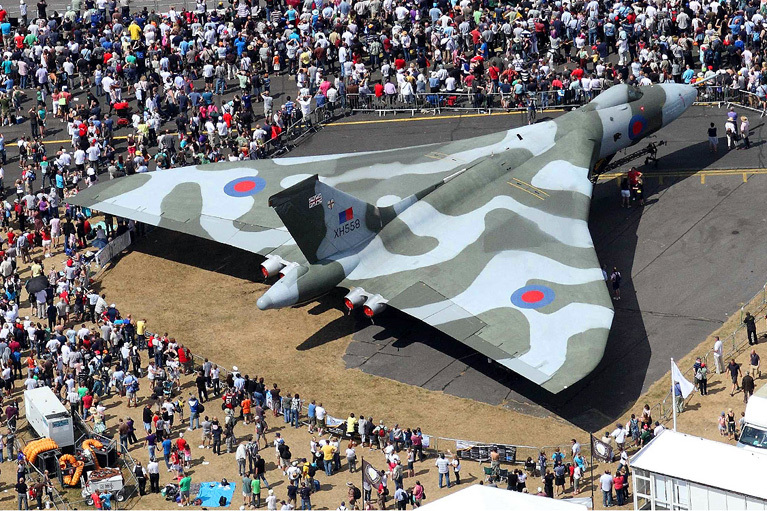 The event is held in mid-July in even-numbered years at Farnborough Airport in Hampshire, England. The first five days (Monday to Friday) are dedicated exclusively to trade, with the final two days open to the public. 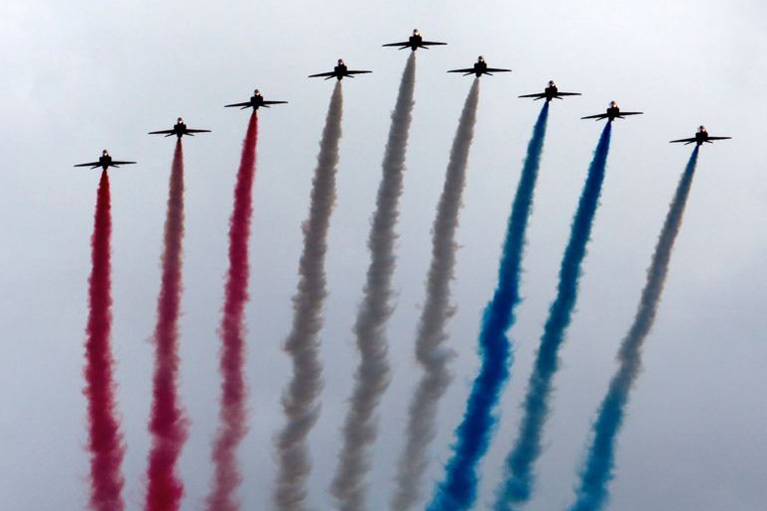 2014 was Show Hire’s first year at Farnborough, and it was the company’s biggest project to date; the trade element of the event is the largest outdoor exhibition in Europe. Given the size of the site, Show Hire chose to use a fibre-optic network – over which the vast majority of the PA system was run digitally – with audio distribution taken care of by the Q-Sys platform, designed and manufactured by QSC. 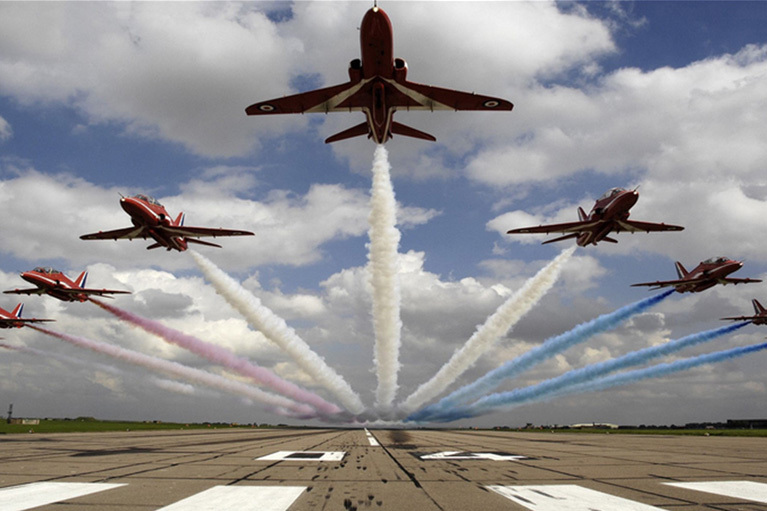 The fibre-optic network used for the Q-Sys system was installed by DB Event Networks, which began a wholesale refurbishment of the networking facilities at Farnborough in October 2013 in order to be finished in time for the show the following July. Show Hire purchased the system (and associated equipment) Shure Distribution (QSC’s UK representative) after extensive consultation. 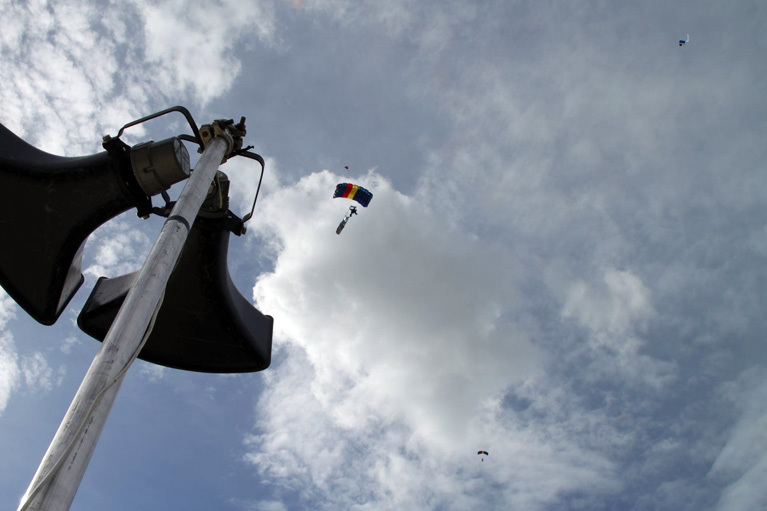 The investment in Q-Sys was made primarily for Farnborough, but extensive testing was carried out by Show Hire’s Technical Director Ross Slaughter beforehand at other events. 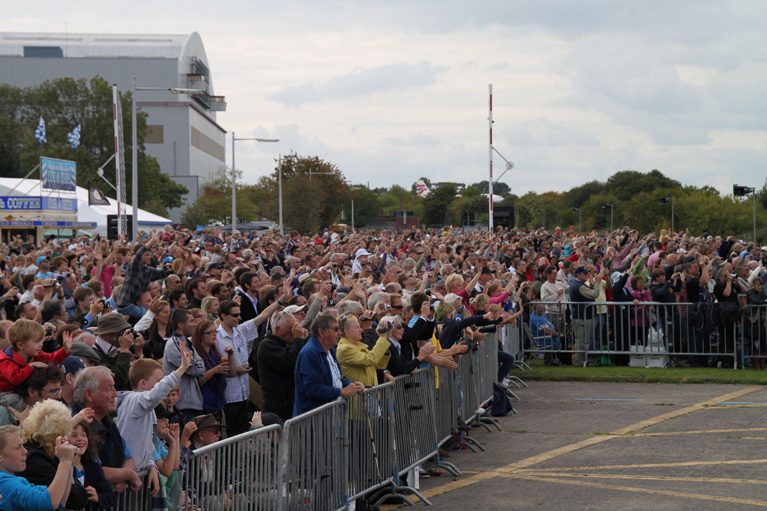 This allowed us not only to make the most of Q-Sys’s capabilities, but also to be confident that it would withstand the challenges that an event like Farnborough can present. The finished Q-Sys network incorporated two Core 500i processors (one active and one redundant backup), nine full-size I/O frames and two I/O-22 miniature frames. 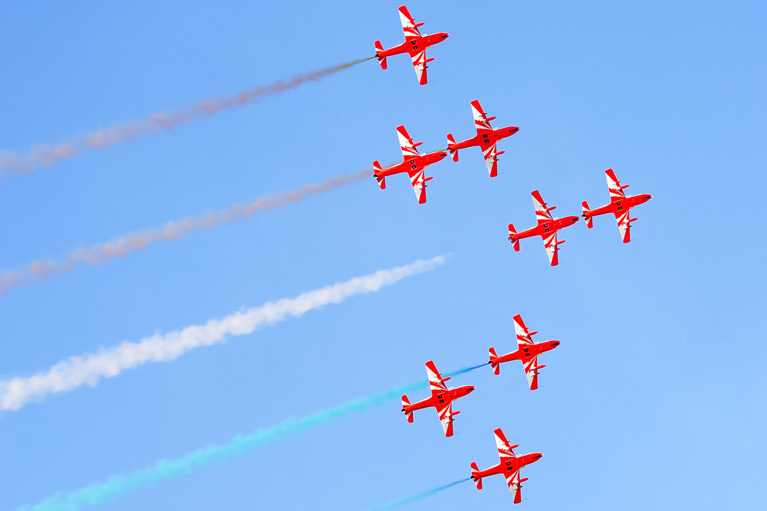 Staff in the airshow’s show control centre were given a QSC PS-1600H page station, programmed to give priority to the control centre over all other PA feeds if necessary. Once installed and tested, the audio network was in constant use. Even before the show opened to the public, it was used to send out safety announcements to contractors working on site. 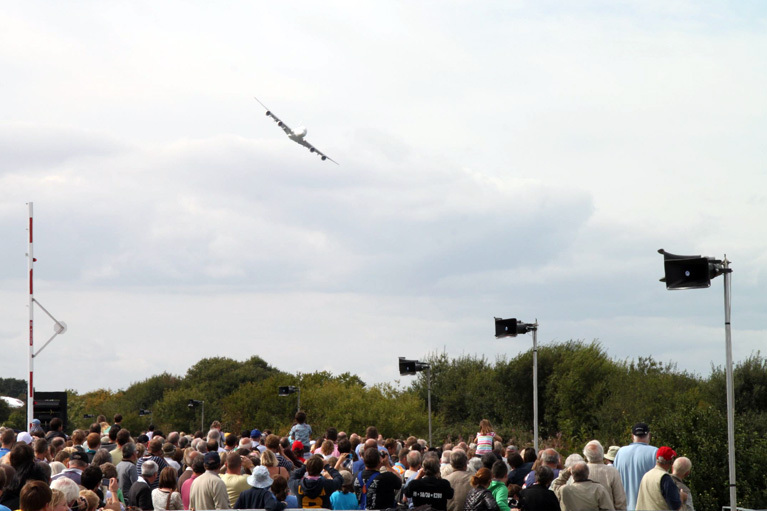 During the public days, it broadcasted Radio Farnborough, warnings about staying cool in the heat, messages reuniting lost children with parents, and also distributed live airshow commentary. 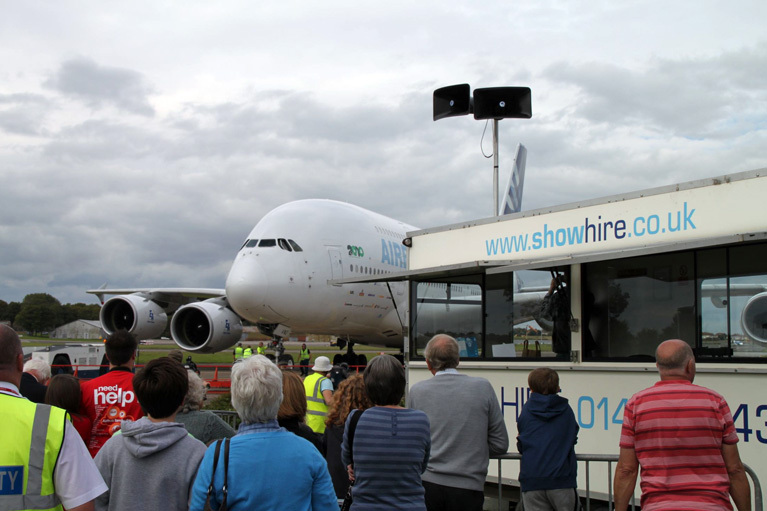 Show Hire will be returning to Farnborough for the next Airshow, in 2016.